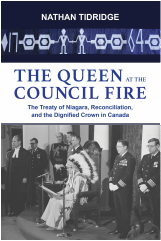 From the ancient and enduring relationships established between settlers and Indigenous Peoples to the constitutional development of the Canadian Federation, the history Crown in Canada dates back centuries. The Queen and her "Team of Governors" (the Governor General and ten Lieutenant Governors) represent a uniquely Canadian institution that has evolved to meet the needs of a very dynamic society. 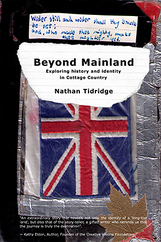 Nathan Tidridge has been speaking and writing about the Crown in Canada for nearly 15 years, publishing three books on the subject and traveling across the country. The recipient of a number of awards for his work educating Canadians on the role of the Crown in Canada, most recently its foundational role at the heart of Treaty relationships across the land, Nathan continues to explore the institution's place at the heart of our democracy. This site exists to help Canadians understand their constitutional monarchy. See the tabs at the top of the page to find educational resources, online publications, interesting "Did you know?" facts, images of the Canadian Crown, and more. We are not our uniform and we are not our title. I’m just the character drifting through. Nathan has always had an interest in the Crown in Canada, publishing three books on the subject. He also has a deep connection with Muskoka's cottage country, the subject of his first book, as well as the history of Flamborough, his hometown. All of Nathan's books are available at your favourite local bookstore, as well as through any online vendor.